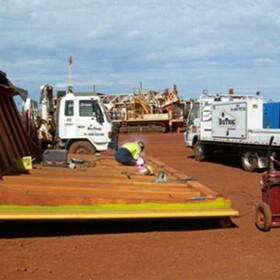 BigTrac is a West Australian owned and operated company specialising in the maintenance and repair of earthmoving and mining machinery. We are a young, innovative company offering fresh solutions to your onsite and offsite machinery problems. Our reputation is based on our commitment to provide quality workmanship and candidates to all our clients. BigTrac's staff have trade certification and have many years of hands-on experience which means we understand your needs and are able to inform you of the right solution for your business. We are proud to offer you our heavy equipment services. Because of BigTrac's expertise, can-do attitude and our ability to troubleshoot problems, we have been successful in securing contracts with BHP, Rio Tinto, BGC and Theiss.